Carl Court is registered to provide accommodation and personal care for up to 15 people. Carl Court does not provide nursing care - this is provided by the District Nursing team. Woodland Court is a care home for up to 39 people who require nursing or personal care. The home is run by Woodland Healthcare Ltd.
Ashbourne House in Torquay is a care home without nursing for older people, people with a physical disability, people with a sensory impairment, people with dementia and people with mental health needs. It is registered for a maximum of 28 service users. The Tobias Centre is a care home without nursing registered for up to 11 people with learning disabilities or autism spectrum disorder. Woodland Park provides 24 hour nursing care, personal care and intermediate care for up to 31 people. Park House residential home offers accommodation with care and support to up to 21 older people. Nursing care is not provided by the service. This service is provided by community nurses. State registered and chartered physiotherapist. Offers home visits in Torbay and Newton Abbot areas (but prefers to do most work at the clinic). Devon Home Care provides personal and practical help in the Teignmouth, Newton Abbot, Torbay and Dawlish areas. Three Corners is registered to provide nursing and residential care for up to 46 older people. Registered osteopathy practice. Provides home visits throughout Torbay. Home visits may be possible on Monday and Thursday evenings and on Wednesdays during office hours. Care home with 24 beds providing residential care to older people, people with dementia, and people with mental health problems, physical disabilities or sensory impairments. 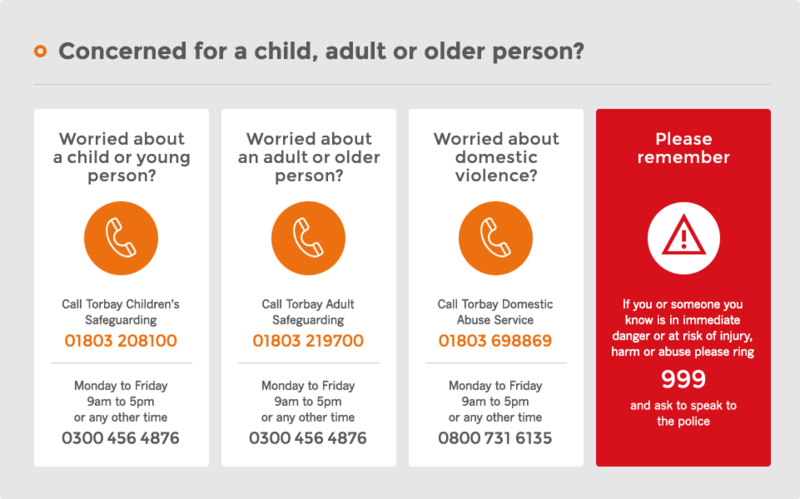 Serves Torbay, Totnes, and Dartmouth (most visits in Torbay area). Village store offering free daily deliveries in Galmpton Village and within a 1 mile radius of Galmpton Village. Launderette with self-service or service washes. Delivery & collection offered. Dry cleaning through agency. Washing and ironing service. Linen hire. Holwell Villa provides accommodation with personal care for up to 17 people. People living at the service are older people, the majority of whom have a dementia or memory loss. Belmont House Residential Home is a care home without nursing that offers care for up to 24 people. Offers personal, support, sitting, shopping and domestic care services. Personal and domestic care agency. Services include enablement, including social activities, and sitting. Able to provide clients with a person-centred plan of service. Domestic services include domestic cleaning, laundry and shopping services. Patient support group providing a range of friendship services for the elderly, isolated, disabled and those in need. Includes befriending, home visits, some transportation, sitting and carer relief and light shopping. Advent Services is a caring family run business based in Totnes, South Devon. They provide Domiciliary Care Services to clients who require long or short term support at home. The Croft provides support and accommodation for up to twenty two older people, some of whom have dementia. Ogwell Grange is decicated to the provision of high quality care services for the elderly. Meadowside is a registered home for up to 11 Adults with learning disabilities (including Autistic Spectrum Disorder), physical disabilities and older people. Mobile service providing finished laundry, service washes, dry cleaning and repairs. Area served: Visits Brixham, Paignton, Torquay, Dartmouth, Kingswear and other South Devon areas on Fridays. National home visiting optician offering free home visits to those who cannot visit an optician unattended, regardless of age. Sight tests are free to patients who qualify – contact the Outside Clinic for details. SILS provides housing and housing related support. They provide individually designed packages of housing, care and support by working in partnership. We are one of the nation’s leading homecare agencies. We deliver the services you want, how you want them, in the comfort of your own home.